For the four years to date of Mojocon/Mojofest we have repeatedly heard from members of the public that they would like to be able to do (and pay for) individual workshops. The best we have been able to offer at Mojofest has been single day tickets-which apparently are still not enough. So this year we are trying something new. We have gathered together 8 of the best photographers who have year on year offered phenomenal workshops and learning experiences to our delegates at Mojofest and they have agreed to do exclusive workshops on a pay per course basis at SmartFotoFest. 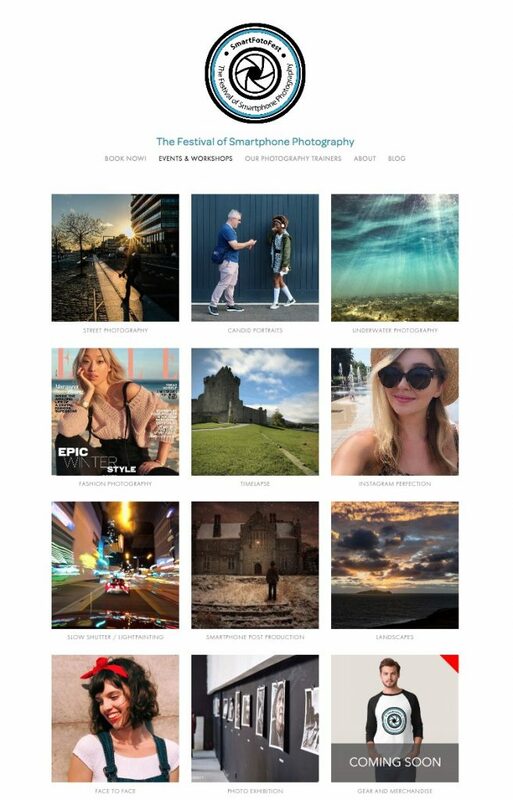 The event happens in the O’Donoghue centre at NUI Galway on 5th June (the day before Mojofest) where we will host the workshops and an exhibition of the winners of the Smartfotofest / Mobiography / Mobile Photography Awards Competition which launches next week .